This film has snuck by me for decades now, as it’s one of those classics that a lot of what I call “classic movie fans” seem to like though it doesn’t tend to be on critical best lists, and as an elitist teen I used to avoid those. 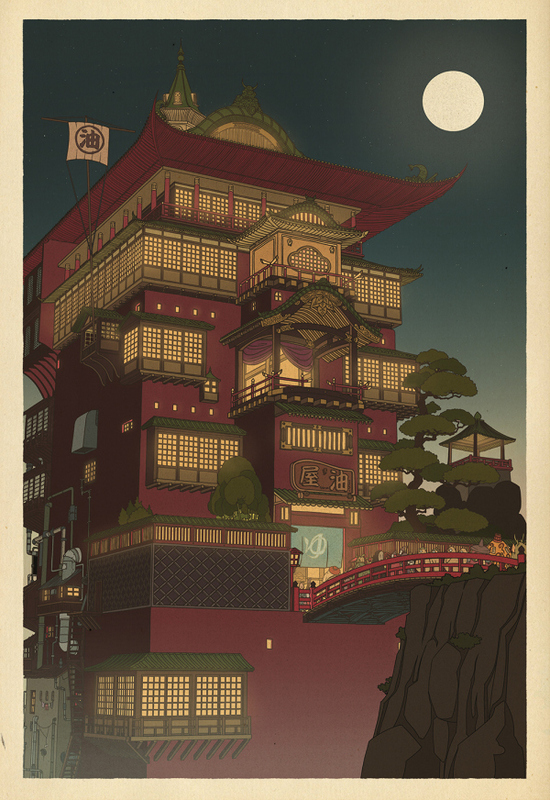 I’m coming around on a lot of that type of film now, and realizing I missed out. 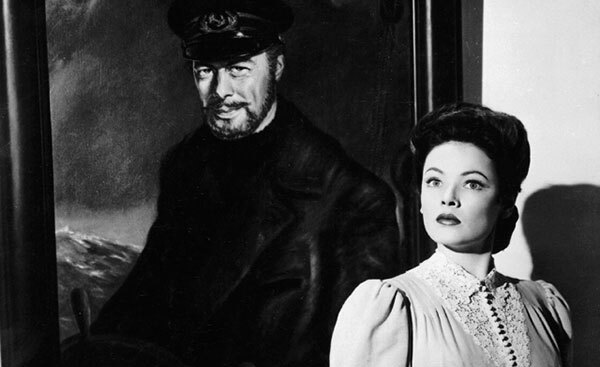 In this one, Mrs. Muir (Gene Tierney) breaks free from her late husband’s controlling family to find a little cottage she can call her own (along with her daughter, a young Natalie Wood) – only trouble is it’s haunted by the sea captain (Rex Harrison) who used to own it. Unafraid of the ghost, she moves in anyway and ends up striking up quite a friendship with the gruff captain…and maybe a little more. Yeah, the film dances right along the edge of necrophilia here, though I mean, Captain Dan is a much more vital and interesting character than most everyone else she comes across. 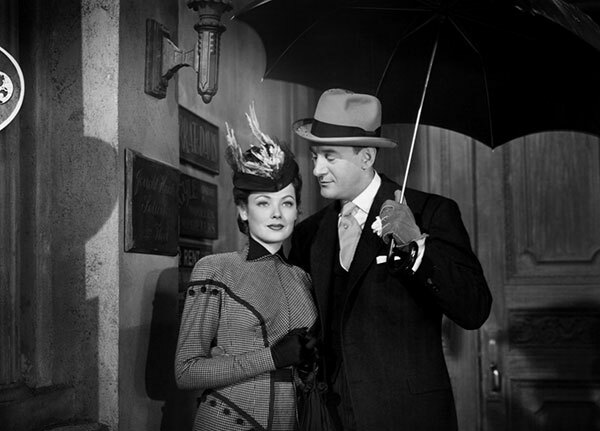 She almost manages a romance with George Sanders, but he’s at his most charmingly slimy and it’s pretty obvious that’s not really going anywhere. It’s really about the most gothic of romances, a love for something seemingly unattainable that stretches across the boundaries of life and death itself. You’d think all that would kind of creepy, but it isn’t – it’s fairly safe, actually, almost to the detriment of the film. 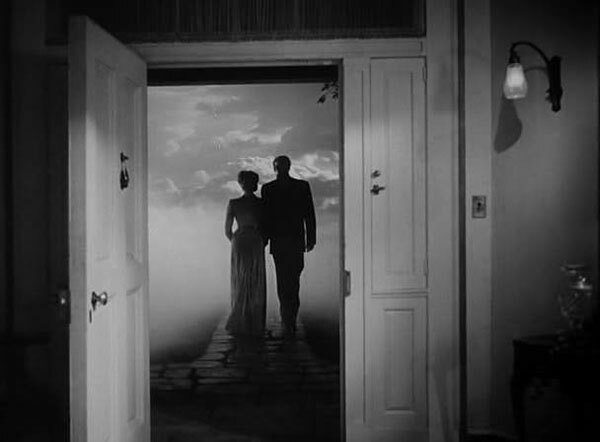 In a way, it’s almost weird how this ghost romance situation isn’t remarked on more than it is. The film itself doesn’t treat it as odd, no one seems to notice that she’s spending all hours of the day chatting up invisible boat captains (possibly because they are, too – at least her young daughter is). Seems like at some point it would’ve turned into a “does she belong in a nuthouse” movie, but it never even threatens to. 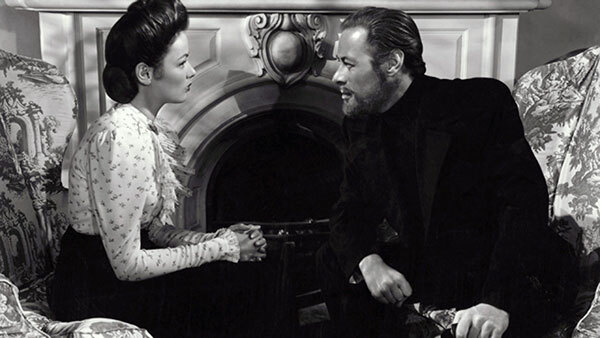 The film is too sweet and well-meaning to deserve much real criticism, but I did also find it a little bland and uninvolving (and I mean, just how long was Mrs. Muir ignoring her daughter completely to write this book with a dead sea captain?). I think if I’d seen it back in the day I would have more fond feelings for it – and maybe over time, those feelings will grow. 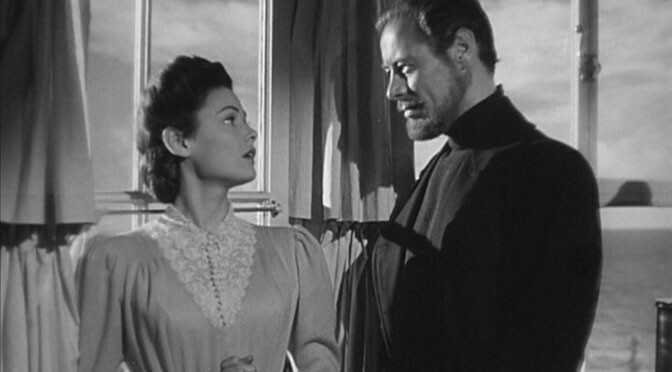 It is lovingly shot, with appropriately gothic light and shadows, though the Victorian setting does nothing valuable for Gene Tierney’s hairstylings. 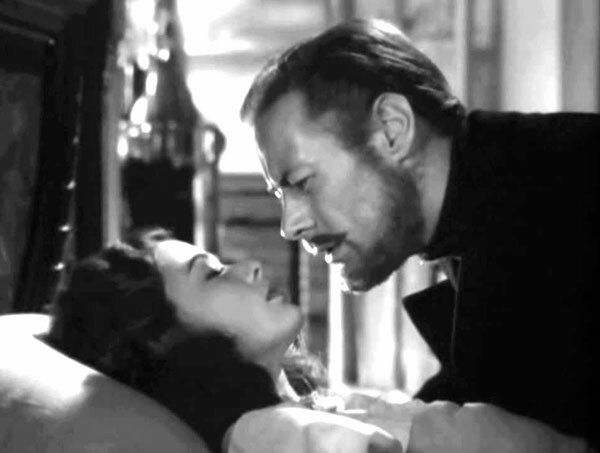 It is now my #2 Joseph L. Mankiewicz film, my #2 Gene Tierney film, my #3 Rex Harrison film, my #4 George Sanders film, my #10 Romantic Fantasy, my #1 Supernatural Drama and my #4 film of 1947. 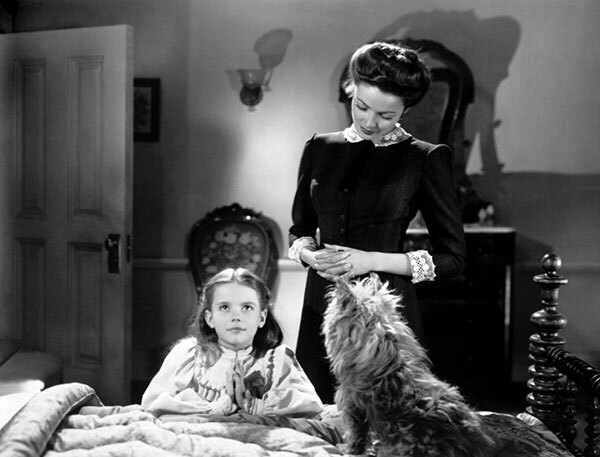 The Ghost and Mrs. Muir was recommended by Patrick Gray, a friend from the Flickcharters group on Facebook. I agree! I think that was one of my major reservations about it. 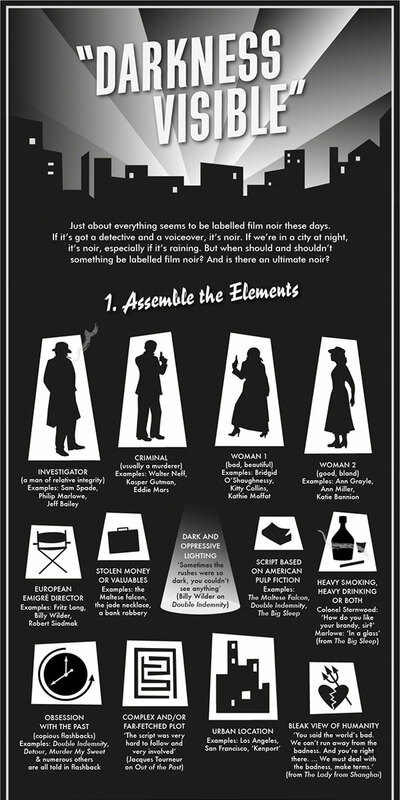 It’s actually strange how the film treats all this as normal, even desirable.